Our new cookbook Sous Chef around the World takes you to a culinary trip to the world of tastes that can be found in California. This culturally rich state has a colorful selection of American and ethnic kitchens from local to Midwest and Louisiana, from Mexican to Chinese and Indian. The book is dedicated to families who love to cook together. As in our first book Sous Chef’s Cookbook, all the recipes are written for two cooks of different ages. The instructions are divided to the tasks suitable for a child and an adult and separated with color codes that are easy to follow. 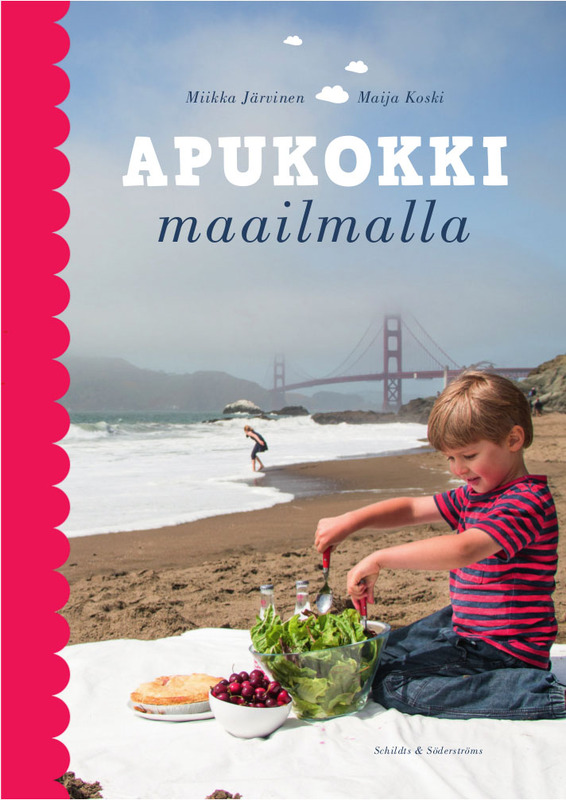 Sous Chef around the World is written in Finnish (Apukokki maailmalla) and was published in Finland in February 2015 by Schildts & Söderströms. 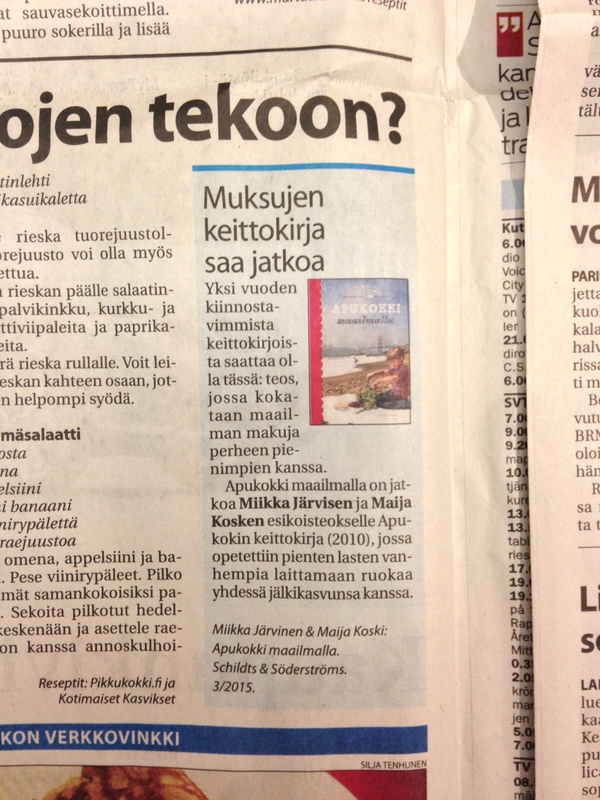 It is the successor of our first cookbook Sous Chef’s Cookbook (Apukokin keittokirja), that was published in 2010 and is now in it’s third printing in Finland. Italian edition of Sous Chef’s Cookbook was published in April 2015 under the title Il Manuale del Piccolo Chef. A good day’s supper. These fresh summer rolls taste delicious in fall as well. Cook them together with your family! The lovely Sous Chef’s Cookbook has gotten a successor. The contents are exhilarating; Californian, Lousian, All-American, Mexican, Chinese, Indian as well as Italian recipes all done with Bay Arean touch. This bean soup tastes great already after 10 minutes cooking, but it is even better with time. It also works perfectly when re-heated. 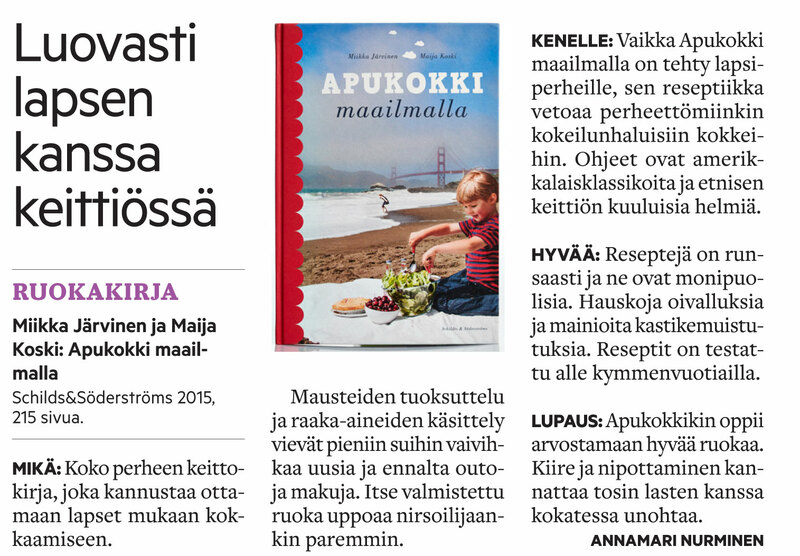 I found this recipe from Miikka Järvinen’s and Maija Koski’s book Souschef around the World. For some reason, I can’t help smiling when reading the book. Maybe it’s because of the pictures with kids chopping, enjoying the food and smiling. Or maybe it’s because of the relaxed attitude you can feel when reading then book. Now they are cooking in US, with fresh recipes, of course. This book is the best for those, who are interested in food and travelling abroad. You can get to know Mexican, Chinese, Indian and Italian, not to forget traditional American kitchen as its best. ”This book makes me so happy. 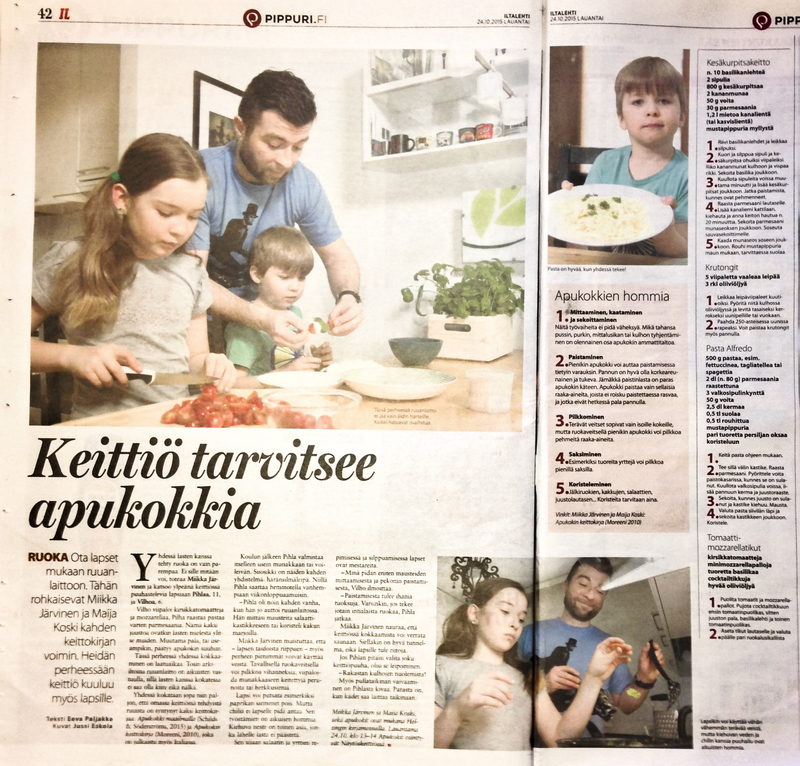 Bravo, Maija, Miikka and the kids!